Offering 450 berths, adjacent to Pembrey Country Park and within easy reach of the Gower Peninsular and Tenby, Burry Port Marina offers berth holders year round cruising along this beautiful coastline. With three harbours, offering fully dredged annual mooring and seasonal berths, the marina also has a slipway and onsite parking. 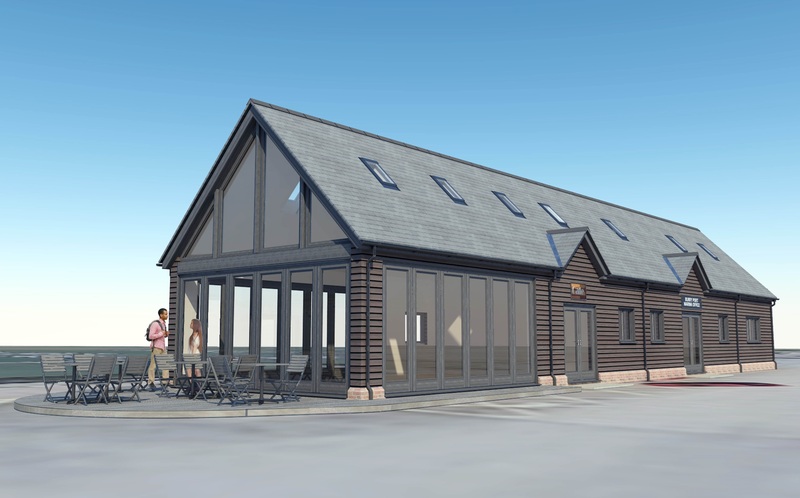 Subject to planning permission, plans include a new marina office, shower/toilet facilities and cafe/restaurant. An artists impression of the initial concept is shown below. 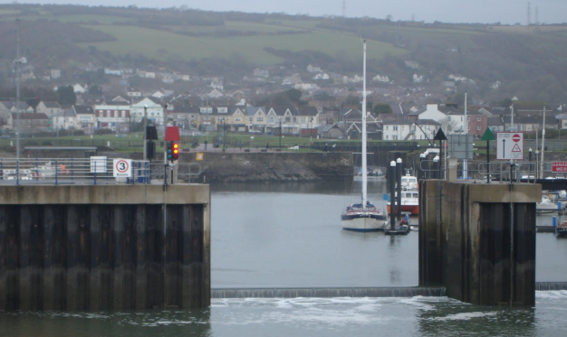 We offer a range of flexible berthing options with new berth holders welcomed all year round. Please note Outer marina maximum mooring 10m. For vessels over this size please contact us. Extensive specialist refit and repair services are available at our main Cardiff boatyard. We offer preferential boat transport rates to our berth holders. The marina is accessed through a tidal gate which opens about 2.5 hours either side of HW. The Burry inlet should be treated with caution in rough weather, at night or within 2 hours of HW. The sand shifts and charts should not be relied on. Approach via the south channel taking care in the area of the outer bar and Lynch bank and to avoid the West Hooper bank (north of the mid channel) and the Hooper bank (south of the mid channel) where big waves can develop in the shallower water. The shallow water extends from approximately N 51 38.05 W 004 19.10 to the northern shore. The approach is marked by 2 red and 3 green buoys (lit at night), but care must be taken after rough weather as these may have been dragged or lost. The line of the channel can move significantly, with part sometimes broadside to the waves and entered from the east. The depth is variable and often much shallower than the depth over the sill. If in doubt, approach near HW and not on the lowest of neap tides. The marina gate is controlled by lights (group of three vertical). 3 red or indeed any red showing means that the gate is up and should not be approached. Two greens vertically over a white indicate that the gate is down and two-way traffic is in operation. Boats leaving the marina should give way. The depth over the sill at the gate is at least 2.5metres but it is advisable to check with the marina office before entering. Burry Port is marked by a lighthouse on the western protective breakwater (N 51 0.62 W 0004 15.05). Its characteristics are Fl 5s 6.5NM. There are two barrel posts in line marking extensions to the western breakwater, the outermost one of which is lit at night. Its characteristics are Fl R 5s 3NM. The red/green channel buoys are lit. The old cast iron lighthouse (N 51 39.15 W 004 15.07) at Whitford Point on the opposite side of the Estuary provides a good mark during daylight but is unlit. All new boats must report to the Marina Office on arrival to complete a mooring contract and must have a copy of their full comprehensive insurance document to comply with our terms and conditions. If you require marine insurance Bay Marine Insurance can be contacted for a competitive quote. Situated in the heart of the award-winning Millennium Coastal Park, Burry Port marina is situated on the north coast of the Loughor estuary. The marina makes the ideal base for exploring the south and west Wales coastline and lies at the gateway to Carmarthen Bay. It enjoys stunning views of the Gower and is within easy reach of the glorious Pembrokeshire coastline. It is a great centre for fishing, swimming, walking and cycling. The town of Burry Port is easily accessible from the marina and offers lots of good places to eat within a few minutes’ walk. 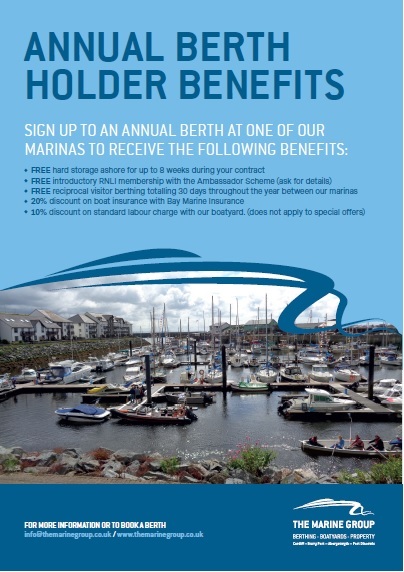 As an annual berth-holder at one of our marinas, benefit from discounted visitor berthing in our visitor network.